rated for up to 250 lbs. 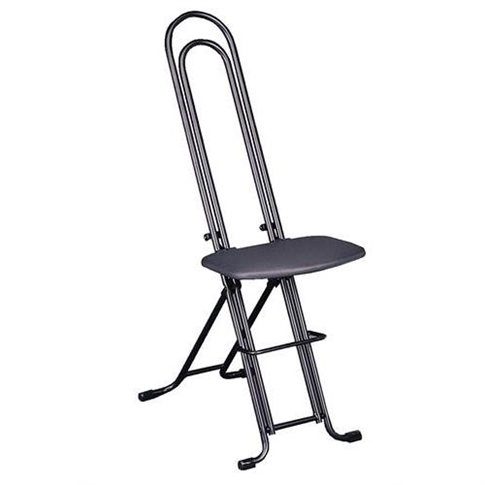 The seat of this folding stool is lightly padded to save weight, and it’s infinitely adjustable from approximately 18 to 32 inches for just the right play height for most players. 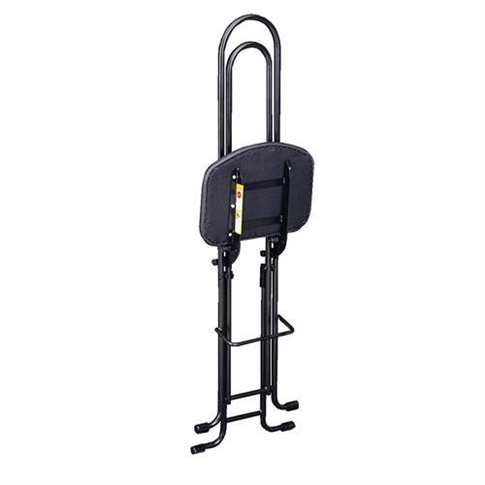 It uses a clever sliding mechanism to lock the seat into your preferred height by using eight solid rubber (replaceable) stoppers that pinch the tubing in four places. There’s also a built-in footrest ten inches above the floor so you can get adopt a comfortable position that works for you.